Muskie, walleye, bass oh my! If you love the thrill of catching that elusive fish, then there is no other place you will rather be. Jump on board, the fishing is fine. 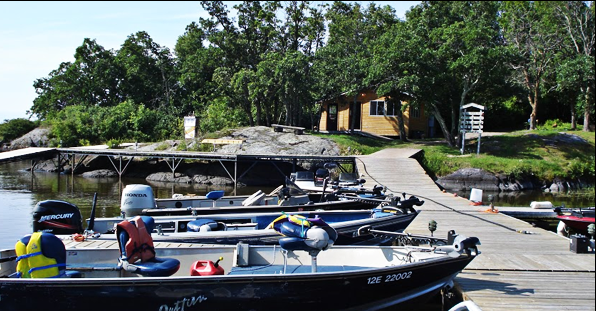 Sandy's Blackhawk Island Camp and Canada Fishing Resort is located in Ontario waters at the western shore of Lake of the Woods. This area has long been recognized as one of the better fishing grounds in Lake of the Woods in Ontario Canada. Annually it produces walleyes, northern pike and smallmouth bass in abundance, as well as providing some of the finest muskie fishing in the entire Lake of the Woods. 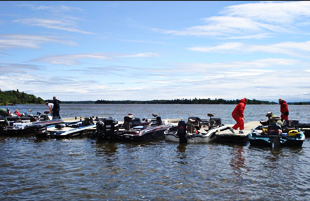 The stunning international waters of Lake of the Woods provide some of the best fishing in the world. Anglers flock here year-round in search of that elusive record catch. The waters near the Northwest Angle & Islands are home to a variety and volume of fish. Walleye and muskie are king here, but exceptional smallmouth bass, northern pike and crappie fishing can be found, too. Northern pike and walleyes are in abundance, in waters within a mile or two of the camp. Smallmouth and largemouth bass are plentiful, with the activity really picking up around the third week of May and continuing throughout the balance of the year.